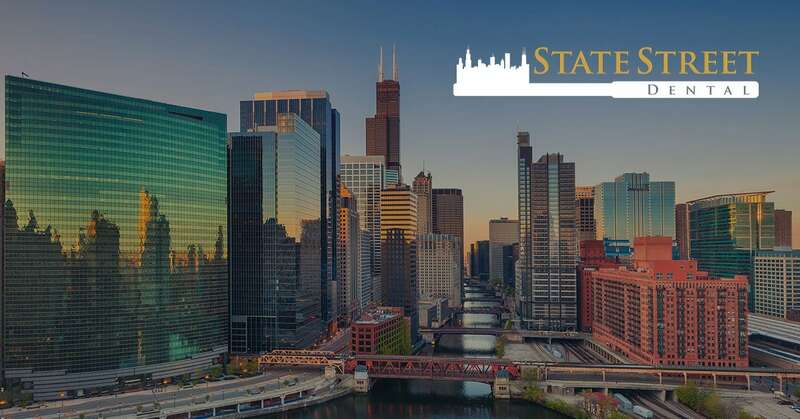 Welcome to State Street Dental in Chicago, IL! Our team is excited to meet you and help you achieve and maintain a vibrant, healthy smile. We know our patients value safe, efficient, and affordable care, so we strive to offer our patients the best technology and procedures available to the dental industry. State Street Dental is here to help you every step of the way, from providing you with the facts about good oral hygiene to walking you through treatment options. With proper dental care, we believe everyone can achieve a beautiful smile that will last a lifetime. Come visit us at our dental office in Chicago, and you’ll see for yourself how comfortable and rewarding the dental experience can be. Our staff is always available to assist you with any questions or concerns you may have. We offer massaging dental chairs and smart TVs in the dental op rooms so our patients can watch or listen to their favorites. We specialize in cosmetic dentistry in addition to your general dentistry needs. Ask Dr. Laila Salman about treatment options that have taken patient satisfaction and comfort to new levels, such as Invisalign, veneers, and dental implants. At State Street Dental, we love seeing our patients smile as their dreams of enhancing the health and appearance of their teeth become a reality.